Lead time 7 - 10 days. 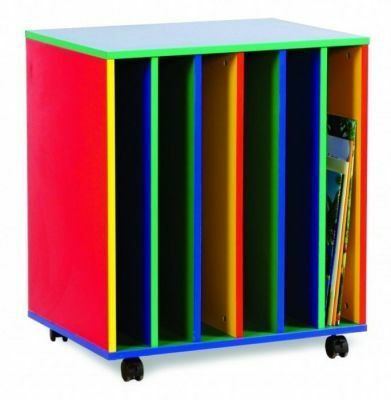 Convenient mobile, colourful book holder mounted on castors with 6 slots for the easy storage of books. 18mm thick MDF carcass finished in Red, Green, Yellow and Blue. Free UK mainland delivery. Lead time 7 - 10 days.